Have you been considering a visit to Disney’s Aulani Resort and Spa? When you think of a trip to Hawaii what are you looking for? Warm sandy beaches with a fruity drink in your hand? Scuba or snorkeling around the islands? Sitting by the pool while the kids are entertained? Interacting with local species and natural wonders? Do you want to go Island hopping? What else are you thinking of when Planning A Visit To Disney’s Aulani? I have some good news for everyone, Aulani is able to provide all of these options and of much more. When you first start planning a trip to the middle of the Pacific Ocean to visit Hawaii and Aulani, you need to make some decisions, and honestly you should call a travel agent. What’s My Budget: With all vacations, most of us have to start here. We all wish we didn’t have to of course, but this is a necessary truth. Once you’ve established your own comfort level you can begin to narrow down the rest of your trip. How Many Days Should I Plan to Visit: Personally, I would suggest no less than 5 days at Aulani. With so many activities to experience, this would be the minimum amount of time to get some of the island flavor. Snorkeling, lazy rivers, scavenger hunts, Auntie’s Beach House for the kids, and so much more. When Should I Plan To Visit: This is the easiest of all things to decide, there is no bad time, if you base it on weather, to visit. Hawaii has year round beautiful weather. Go in January or August and you’ll find the temperatures aren’t far apart. August brings in at high 70’s and January is low 80’s. July would be in the high 80’s. What Else Do I Want To Do: Aulani is about 20 minutes from Waikiki. Consider if you want to stay a few days in the bustling crowds and shopping of the Waikiki area. You can also plan day trips from Aulani to visit. Additionally, plan a few other day trips. Head up to the North Shore, Dole Plantation and perhaps a visit to the Polynesian Cultural Center. All of these are located on Oahu as well. If you want to visit a volcano or other Hawaiian features, you can have your travel agent book some excursions for you. Short flight or long-boat trip to the other islands. 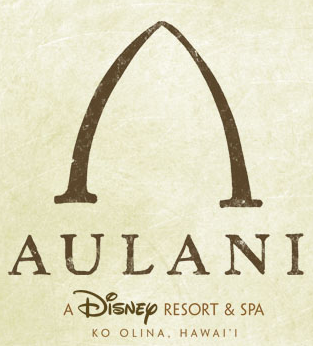 Check back often for more information on Disney’s Aulani Resort and Spa. I hope you found this information useful and fun. I am here to answer questions and would happily help you plan your trip to Aulani. Visit me at my Agent Page for more information.